Richard Rodgers will return to Philly in 2019. The Philadelphia Eagles announced on Thursday that they have signed tight end Richard Rodgers to a two-year deal. Rodgers signed a veteran-minimum contract last offseason. He had a very good training camp and preseason, but landed on injured reserve with a knee injury suffered in a preseason game. The Eagles reactivated Rodgers after Week 10, but he didn't play much in the regular offense behind Zach Ertz and Dallas Goedert, who both stayed healthy down the stretch. Rodgers was a free agent this offseason, and obviously did not have a strong market, seeing as he had 1 catch for 7 yards in 2018. 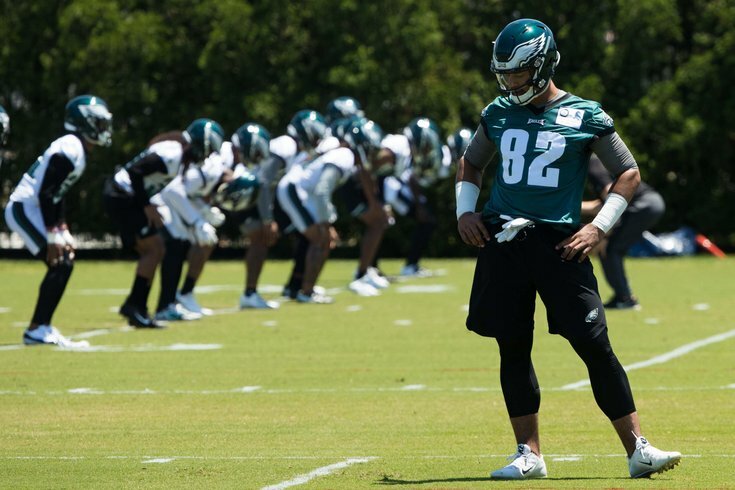 Still, he's a perfectly cromulent third tight end, and it makes sense for the Eagles to bring him back both as a special teams player, as well as insurance for Ertz and Goedert. In his five-year career, Rodgers, also known as "DickRod," has 121 catches for 1173 yards and 13 TDs. #Obligatory: The Rodgers signing will not affect the compensatory pick formula in any way.